HeartCheck is a vital screening tool for coronary heart disease that could save your life. It’s simple, painless, and non-invasive. Thirty thousand Australians die each year from coronary heart disease, the No.1 killer in Australia. Many of these deaths could be prevented if advance warnings were heeded. But between 30 – 40% of all fatal heart attack victims have no warning of their impending death. They can be apparently healthy without a history of high blood pressure or cholesterol and leading a healthy lifestyle. However, unknown to them they are suffering from deadly coronary heart disease. The HeartCheck Coronary CT Scan can detect the presence of coronary heart disease in people who have no symptoms and it can also determine whether people have disease that is advanced enough to warrant medication or further treatment. On arrival you complete a medical history, followed by a cholesterol test, blood pressure reading and ECG. The scan is then completed in the scanner room. Following the scan a comprehensive report is generated including the Calcium Score. The complete cardiac risk assessment procedure takes up to 60 minutes. Is there any discomfort for you? The simple answer is no. You lie on a sliding table, which moves through an open ring scanner, shaped like a doughnut. 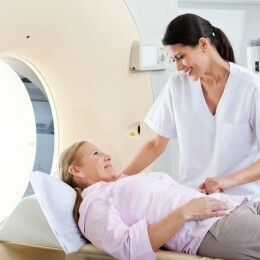 The scanning procedure takes less than 10 minutes, with 2 seperate breath holds. It requires no surgery, injections or medication and no diet restrictions. A comprehensive report and CD showing your heart images will be sent to your General Practitioner who will explain your results and put in place an appropriate management plan. Is the test accurate and effective? U.S. research has shown that 94% of people experiencing a first heart attack had coronary artery calcification, which could have been detected earlier using a Coronary Artery CT Scanner. This scanning technique is around 10 times more powerful a predictor of coronary disease than cholesterol testing. Importantly, the scan can quickly and easily identify patients who do not require invasive procedures such as coronary angiography. The test is particularly useful for people above the age of 40 as the scan takes pictures of the calcium that tends to be found in this age group. The test is also less risky than those involving catheters. For an appointment or further information, please call 1800 100 112.